Technology has influenced industries around the world. Not only is the use of technology essential to the success of a business, but the continuous improvement of technology is a determinant factor in obtaining a competitive advantage. Electronic collaboration (e-collaboration) has made a presence in the supply chain of international trade. The logistics industry, in particular the area of trucking, has to continuously improve their technology and use e-collaboration in order to continue having a profitable advantage in a highly regulated and competitive arena. Some methods of e-collaboration used by a particular trucking company along the U.S.—Mexico border will be discussed. Wu et al., 2006 (as cited in Ghobakhloo & Hong, 2015) state that strategies not easily duplicated by competitors will create a competitive advantage for a firm. There are strong believers that a company is only as good as the information technology (IT) it implements in order to run an efficient and profitable operation. Research from Ranganathan et al., 2004; Tan et al., 2010 (as cited in Ghobakhloo & Hong, 2015) suggest that information systems (IS) resources implemented in a supply chain assists in performance gain. As cited in Ghobakhloo & Hong (2015), Kim et al., 2006 say organizations enhance efficiency and outperform competitors through advanced technology using IS applications. Furthermore, Wu et al., 2006 maintain that advanced IS applications leads to enhanced coordination and minimization of transaction costs. However, Kristensen and Kijl (2010) argue that the implementation of IT alone is not enough to obtain or even maintain a competitive advantage. Auramo, Kauremaa, & Tanskanen, 2005; Swink, 2005 (as cited in Cassivi, Hadaya, Lefebvre, & Lefebvre, 2008) express that the continuous need to perform at a profitable level has led to changes in firm management approaches. Today, the use of technology, allows certain trucking companies not only to reap profit in the area of international trade, but results in a mutually beneficial competitive advantage for suppliers and buyers (Ko, Olfman, & Choi, 2009), especially in the form of e-collaboration. 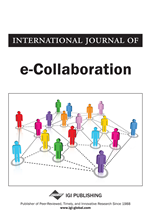 Kock and Antunes (2007) define e-collaboration as individuals collaborating on a common task using electronic technologies. To explore how the use of e-collaboration provides an opportunity for trucking companies to obtain and maintain a competitive edge, we used consultations and qualitative interviews with Juan Ramos (JR), Terminal Manager of the Laredo—El Paso, TX region at Celadon Trucking Services, Inc. (Celadon). Ramos provides an inside view on how one participant in particular, Celadon, of the international trucking trade industry uses e-collaboration technology. Ramos comes with vast amounts of transportation and logistics experience through his tenure with Celadon and other U.S. and Mexican companies. Through consultations and interviews with Ramos, this paper explores the benefits and drawbacks of Celadon’s e-collaboration technology from a manager’s point of view. Celadon’s technology use cannot be understood without first considering Celadon’s process of transporting a shipment from Point A to Point B. Using a hypothetical and oversimplified scenario, assume that a Mexican client has purchased raw materials from Canada and needs it to be transported to Mexico for production. Knowing that the material will cross through all three NAFTA countries, coordination, communication, and interaction is essential for successful execution of the transaction (Kristensen & Kijl, 2010). Thus, the Mexican client contracts Celadon to have the order delivered. The loaded material is then transported from Canada to one of Celadon’s terminals along the U.S.—Mexico border for inspection. Once inspection has been processed at the terminal, the shipment is sent to a forwarding agency where documentation for border crossing is prepared and processed. When ready, a transfer company is put in charge of transporting the shipment between the U.S.—Mexico border and delivers it to a Mexican border crossing transport terminal. Because Celadon’s operates in Mexico through its sister company, Jaguar, Jaguar takes charge of the shipment and delivery to its final destination. Madlberger (2009) writes that interorganizational systems (IOS), which serve as the electronic links between trading partners, have intensified collaboration and coordination between supply chain partners. Tan et al., 2010 (cited in Ghobakhloo & Hong, 2015) state such systems will result in reductions in freight, inventory, information handling expenses and, as Gill (2015) affirms in his article, IOS will enhance team productivity (previously researched in Schummer and Schummer, 2001; Kircher et al., 2001; Herbsleb and Mockus, 2003; DeLuca et al., 2006). Therefore, this oversimplified scenario helps readers acknowledge that e-collaboration is essential in order to: 1) keep a client abreast of his or her investment; 2) assist the trucking company to monitor their assets, as well as, liabilities; and 3) continue the relationship between a client and trucking company.